My friend Kate and myself are involved with entering International Photography competitions and every year there is a APSCON which is the APS’s annual convention, alternating between the States and Territories. We try and go to these conventions when they are within our reach, lots of fun and learning, wonderful workshops from very experienced photographers. We also get to play and go discovering the area that we find ourselves in, like taking photos of course. Weather this trip was not good, we did have a good run down from Qld, leaving at 6 am and getting to Kate’s relations at 5.30 pm, we always have lots of stops, take turn’s in the driving and get there not so pooped. We were staying at Flynn’s Beach in a Wyndham resort, so was handy to everything. Here are a few photos we went out and got over the next week, in spite of a thunderstorm on the Sunday night, we manged to get some photos in between the conference session’s that we attended. 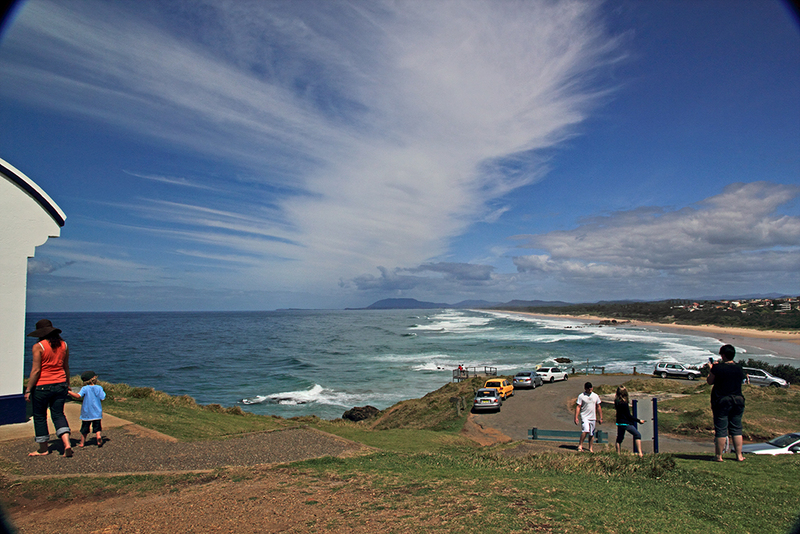 Tacking Point Lighthouse Lookout, looking south towards Bonnie Hills. All these photos are in the area of Port Macquarie.